Everyone who knows me knows that I love a good manicure. Whether I'm at the salon or doing my nails infront of the TV on a sunday evening, I tend to have different nail colour on every week. Which is why I was so drawn to Nailbox when I first hear about it. This service works like several other subscription boxes, but focuses solely on nails. This is a great thing for me as I'm happy to try out new nail products than any other beauty products. My Nailbox arrived last week and I was a fan. 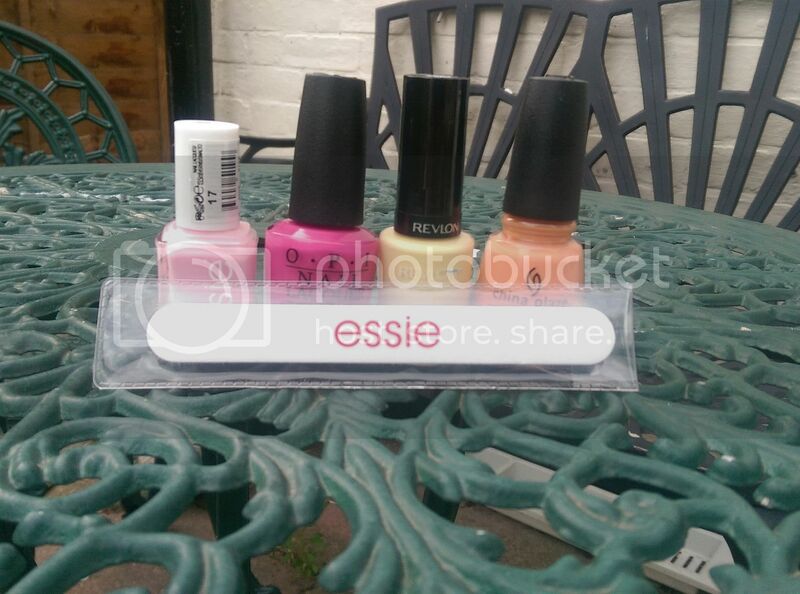 It came with 4 nail colours and one accessory (the nail file), which is standard for the monthly subscription. The box had colours that are favourites of mine (the pink Essie shade) as well as colours I'm really excited to try (the orange China Glaze orange). I also got a pink OPI and a yellow Revlon shade. As you can see there was a nice range of colours and brands. I was pretty impressed to get some decent brands with the box. On the 21st of every month, Nailbox sends out its boxes to subscribers, full of the latest brands from the hottest nail brands. I'm a huge fan of this and might have to go for a full subscription myself. I can never get enough of new nail colours, so this is an affordable way for me to keep changing my nail colour as well as discover brands and colours that I might not otherwise. If you're a fan of doing your nails and keeping them polished, I recommend checking out Nailbox. OMG I want to subscribe to this! I love the fact that they send out different nail brands in each box! What an interesting concept! We have a similar service in North America but it's just one brand - I love the idea of being able to try different products from different lines each month. This is SUCH a cool idea, I love nail varnish so I will definitely be checking this out! OOo a subscription box :) You know I'm in love!